An introduction to the practice of yoga postures (asanas) and the science behind it. Learn an ancient and time– tested system of preventive medicine. Yoga postures provide relief from stress and tiredness, delay of the aging process, more limber and flexible joints, and an increase of the body’s energy and vitality. 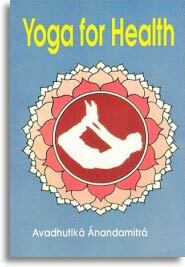 Yoga For Health is the key to unlock the door to the hidden potentials within your own body and mind.